Mental Health First Aid in the Workplace – One in four people in the UK will have a mental health problem at some point. While mental health problems are common, most are mild, tend to be short-term and are normally successfully treated, with medication by a GP. Mental health is about how we think, feel and behave. Anxiety and depression are the most common mental health problems. They are often a reaction to a difficult life event, such as bereavement, but can also be caused by work-related issues. 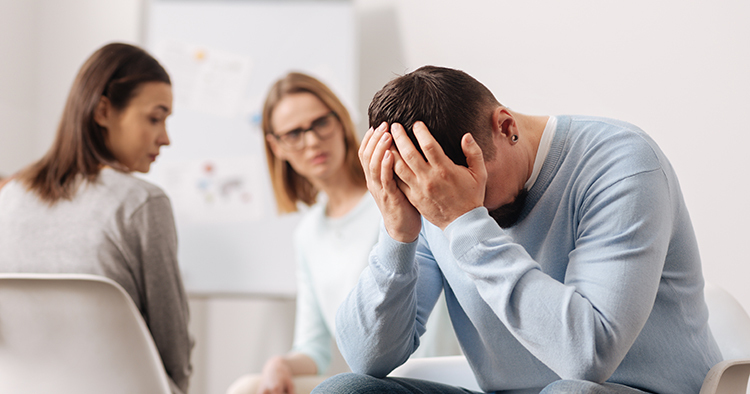 This 1 Day Mental Health First Aid in the Workplace – Level 2course covers the content of the Level 1 course but also expands on the effects of drugs and alcohol, incorporates the First Aid for Mental Health Action Plan and covers ways in which a positive mental health culture can be supported within a workplace. This course is suitable for everyone but has been designed to help employers to provide a positive mental health culture within the workplace and to provide learners with comprehensive knowledge on a range of the most common mental health conditions and the skills to be able to act should a condition be suspected. Learners undertaking this course will be considered First Aiders for Mental Healthand be a point of contact within the workplace to help and support those with a suspected mental health condition. We can deliver this Mental Health First Aid in the Workplace Level 2 Training Course directly in your workplace, reducing your costs for staff travel and reducing time out of the business. The group cost to deliver this course for 6 – 12 delegates direct in your workplace is only £595.00 +Vat. Certification: A Level 2 Award in Mental Health First Aid in the Workplace will be issued to the learner on successfully completing this course. There is no expiry of the qualification, but annual refresher training is recommended. Download the new MHFA guidance for employers Implementing Mental Health First Aiders in the workplace or visit MHFA Englandwebsite.